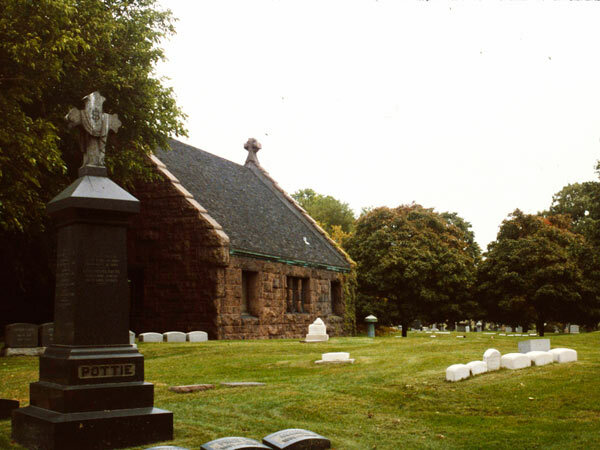 Originally 80 acres, this rural cemetery was established in 1861 by Thomas Barbour Bryan, with the initial layout designed by Swain Nelson. H.W.S. 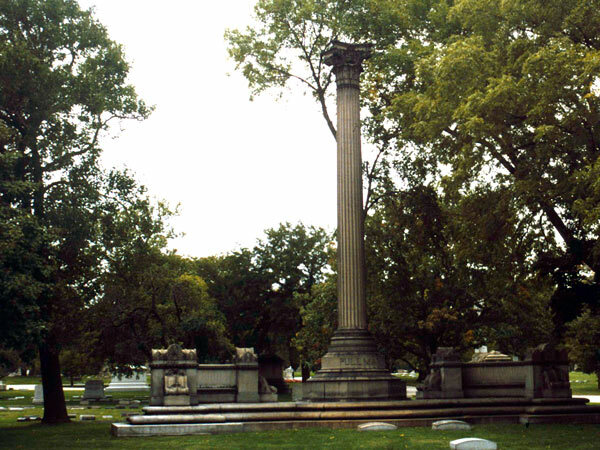 Cleveland further developed the cemetery’s park-like setting in 1870. His design featured curving paths along gently graded topography, open vistas, and a small lake. 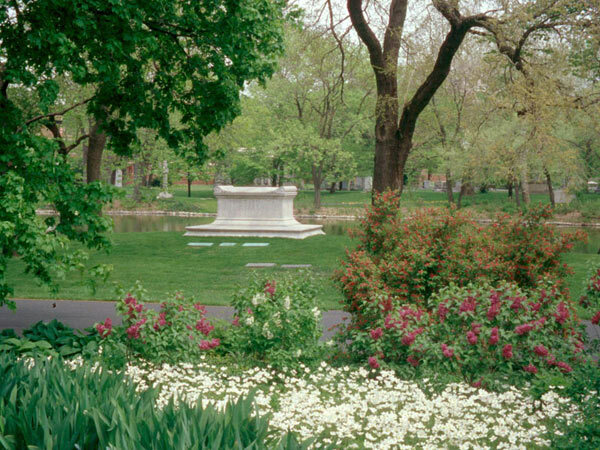 Large, grassy plots without railings or borders created a seamless sequence of green spaces. In 1879 an additional 35 acres were acquired and O.C. Simonds was commissioned as landscape architect. 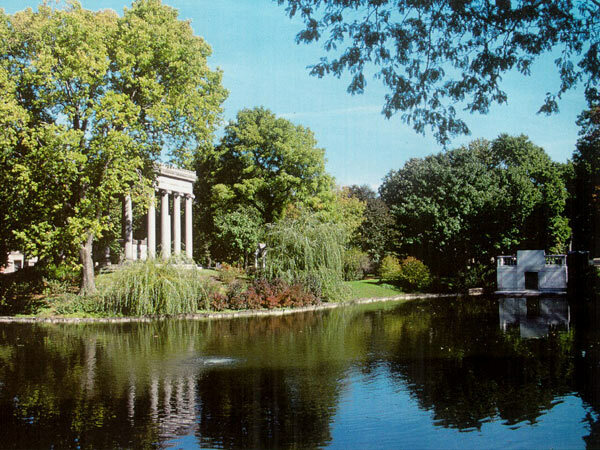 His design followed similar principles to Cleveland’s, with paths laid out according to the terrain, naturalistic lakes, and native shrubs and trees planted in large groupings. 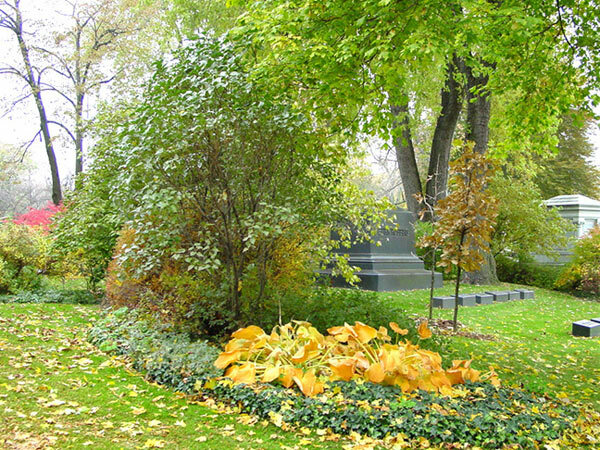 Unlike in earlier rural cemeteries, monuments in the cemetery were subordinated into the landscape, blended with naturalistic plantings in a series of quiet and secluded outdoor rooms connected by grass paths. 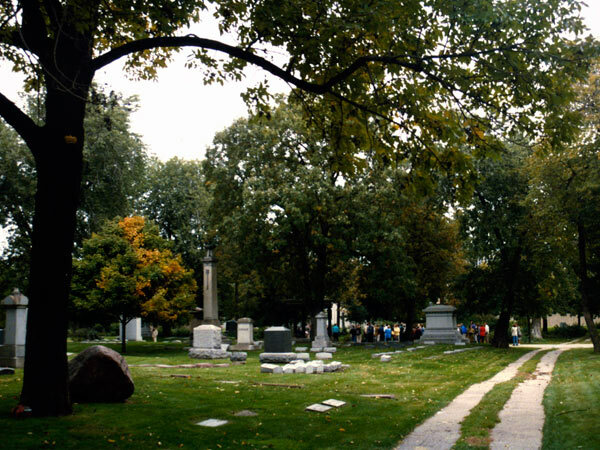 Simonds’ introduction to Graceland Cemetery was a significant moment in his career; the project was one of his earliest, and reflects the development of Prairie style concepts in his work. In 1881 he left private practice to begin a 17-year term as superintendent there, and remained involved as landscape gardener and board member for the remainder of his career. 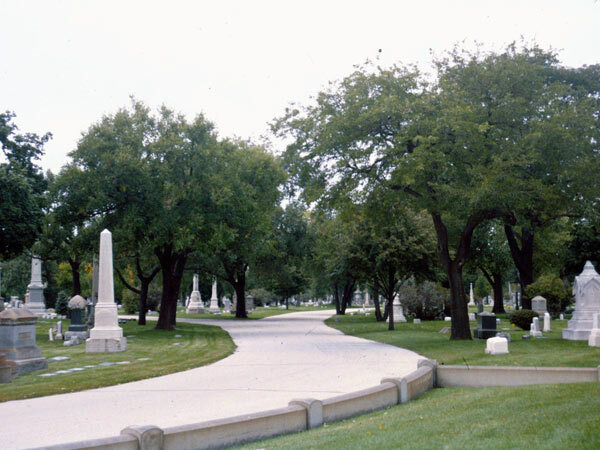 The cemetery was listed in the National Register of Historic Places in 2001.